Many printers now have a built in scanner and photocopier. 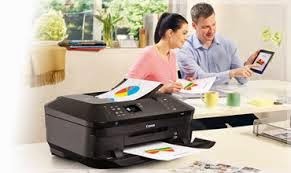 This can make a lot of sense for the home office printer where you typically do not need (or may not be able to afford) a dedicated photocopy machine and/or scanner. Most home offices are located in a small spare room within the home, and the amount of space available is usually an issue. So getting a small, compact sized printer can make a lot of sense. A compact printer is also easier to shift from one room to another. This is especially important if you’re not very tech savvy. Choose a printer that doesn’t have a lot of complex hardware and software that needs installing. Pick one that is a simple plug and print type – it can save a lot of time and hassle. What about the toner or ink cartridges? How long do they last in terms of number of printouts? How much does it cost to replace the ink cartridges when they are exhausted? If you work from home, you are typically managing a lot on the home front and will not have much time to devote to extraneous stuff. So ensure that you have a printer that is easy to maintain. If it’s an inkjet you aim to buy, make sure that you take printouts regularly to prevent drying and clogging of the print-heads. What are your printing needs in terms of frequency and volume? Are they chiefly documents or do you need to print images as well? Pick an inkjet or laser printer based on your requirements. Also, ensure that the printer is fully compatible with your computer – both the hardware as well as the operating system. Ultimately, it’s very important to consider the cost of replacing you cartridges no matter which home printer you choose. You can always count on ComboInk to help you save up to 80% on your ink and toner. For special discount offers subscribe to our mailing list and like us on Facebook.